A group of eight to 10 women can spend a single day grinding grain into flour, combining it with water and painstakingly forming the mixture into the tiny pellets that make up couscous, a staple food in some African countries such as Niger and Burkina Faso. When they’re finished, they may have about 20-30 kg of the dried couscous, to sell for others to make their meal. It’s a laborious process, not unlike the methods needed to prepare grains for ugali, lakh and other porridges that have been mainstays of breakfast, lunch and dinner in Nigeria, Kenya, Ethiopia and elsewhere. The time it takes to make these porridges and couscous has forced some busy people to look for alternatives. Quicker-cooking products, like cream of wheat or instant couscous that are found on shelves in many western countries, have been imported into some African countries. But they are expensive. Other substitutes may lack quality of nutrition found in traditional foods. A solution, developed by Purdue University scientists, comes from an unlikely place — an invention made for living on Mars. 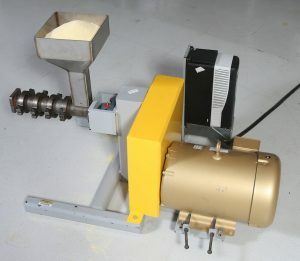 Scientists modified a device called an extruder, which employs a screw that forces grains through a small opening that creates heat through friction, cooking the product. 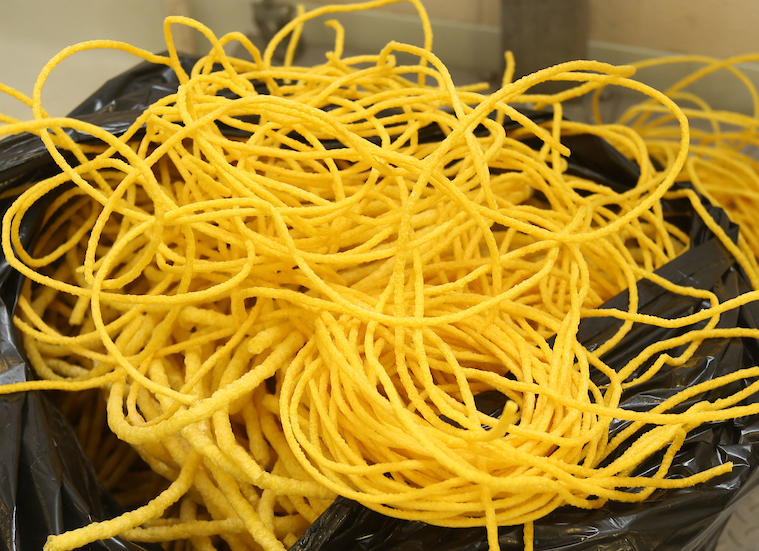 Many puffed cereals, snacks and pastas are processed through extrusion. NASA funded research for the device to process food grown on Mars itself. Purdue’s Martin Okos and Osvaldo Campanella, both professors of agricultural and biological engineering, were involved in developing that device. The NASA extruder cooks soybeans and other grains, as well as separating soybean oil to be used for cooking or in salad dressings. The project complete, the NASA extruder sits waiting for a manned mission to Mars. Rather than let the technology collect dust, Purdue researchers decided to modify the device for other uses. There wouldn’t be a significant market for a small-scale extruder in the U.S., but developing countries in Africa and Asia might be interested, and graduate student Amudhan Ponrajan helped design modifications for those continents. Commercial extruders can cost around $200,000, but the scaled-down version for Africa was designed to cost $20,000. It allows for a more realistic investment for entrepreneurs in developing countries where the market will have to be built from the ground up. It also won’t require expensive imported replacement parts or repair technicians should it malfunction. Purdue faculty and students have demonstrated the extruders in Senegal, Niger and Kenya, and custom formulations have been developed for foods in those countries, as well as Ethiopia, Ghana and Pakistan. 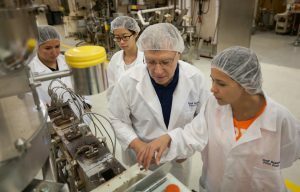 Bruce Hamaker, a distinguished professor of food science, and doctoral candidate Moustapha Moussa are working in many of those countries to find entrepreneurs interested in the extruders. They also need to test consumers’ willingness to purchase instant porridges and food products that might cost more than traditional products. They’ll also be testing products that are fortified with iron, zinc and vitamin A, all of which address nutritional deficiencies seen in some of Africa’s poor, rural populations. And, since these instant products would be developed in the country they’re sold, rather than having them imported, they keep up demand for local farmers and processors who create jobs. Moussa, who is leading much of the marketing and business work for the project in Africa, said that’s the beauty of the technology. It covers a wide range of issues that will help people in the countries where it is adopted.